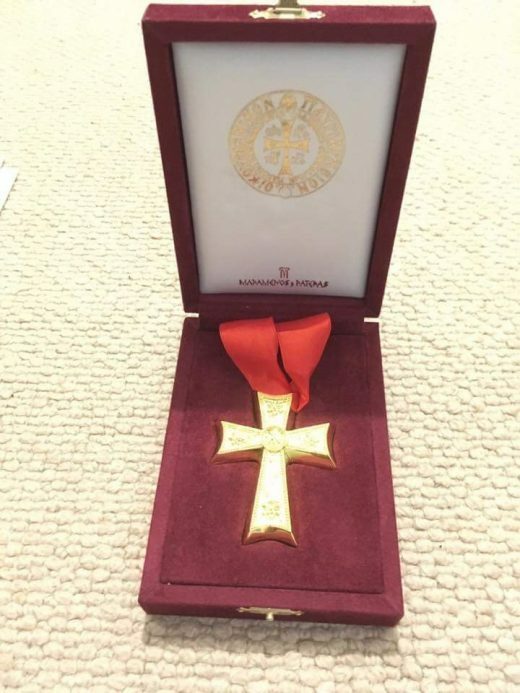 Cappella Romana artistic director Alexander Lingas has received the title of Archon Mousikodidaskalos (Music Teacher) of the Great Church of Christ on behalf of His All-Holiness, Bartholomew I, Archbishop of Constantinople-New Rome and Ecumenical Patriarch. The title of Mousikodidaskalos was created in modern times primarily to honour individuals who have made exceptional contributions to the teaching and academic study of Byzantine chant. In ancient times, such titles were bestowed by the Emperor of the Byzantine Empire to officials of the imperial court. 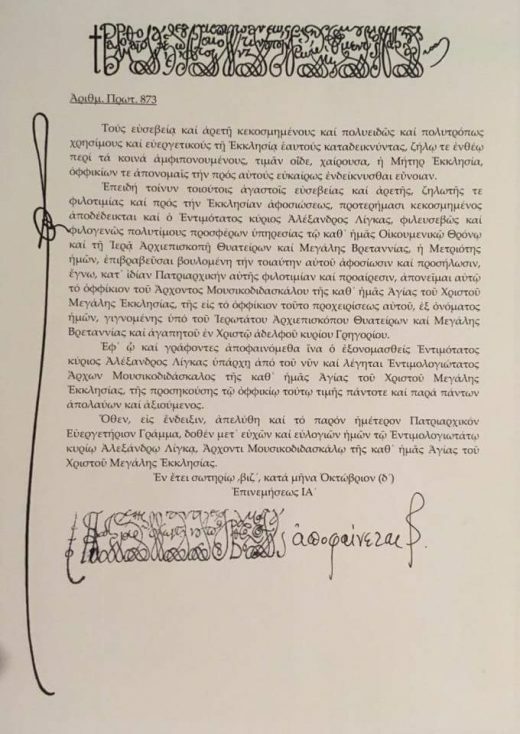 Dr. Lingas was awarded his new title at a service officiated by Archbishop Gregorios Theocharous, the leader of the Greek Orthodox Archdiocese of Thyateira and Great Britain. It took place at the chapel of the Archdiocese, at Thyateira House in London.